Welcome to the online home of Kyla Rowland. Thank you for visiting today. Please take some time and look around at the new layout and features of our site. appropriately, “He’ll Do It Again”! And He will. will…the grave had no power over Him, whatsoever! because, over the years, we have found it to be true! That Power is the Fire of the Holy Spirit; He has never failed to meet with us! Join us for Women’s Mountain Retreat 2019! Brochures will begin going out on Friday, April 19th. Don’t miss this opportunity to escape to the Great Smoky Mountains for three days of the most uplifting retreat you’ll ever experience. Kyla will be teaching in all three meetings. Don’t miss out, register today! answered me, and set me in a large place. of the righteous: the right hand of the Lord doeth valiantly. I was in just a state of mind one morning: I went into Mother’s part of the house to give her morning meds. Oh, my…I fell hard on the floor, on my face before God, begging for Mercy. love for His little doubting children!! Please: Don’t miss Women’s Mountain Retreat, 2019.
the earth has been decorated in beautiful white! atmosphere, and most of us enjoy it. world is turned around: some of us can’t get to work, or doctor’s appointments, can’t even make out manicure appointment…tragic! turns to a blanket of white! don’t get too excited, but have learned how to live in snow! and spotless and it has the power to wash away all sin! blanket: of course, it’s God Omnipotent, Divine, Creator of all things! through an innocent animal in Eden. they sinned against God…it’s blackish, brown, muddy; it’s beauty is gone. 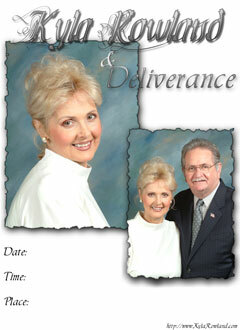 A new installment of “The Shepherd’s Wife” has been added! A Brand New Article… “Letters To The Remnant” is now available to read by CLICKING HERE! A Brand New Article… “Why Trouble Ye The Woman” is now available to read by CLICKING HERE!